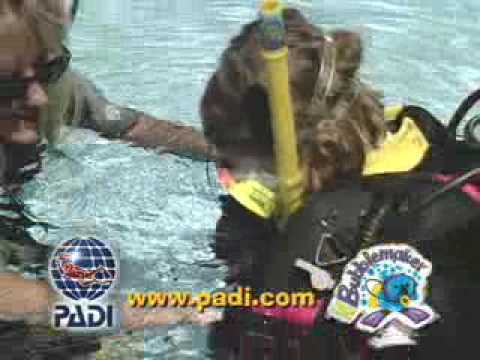 BUBBLEMAKER What a great way to introduce children to scuba diving. What a great way to introduce children to scuba diving in a pool in less than six feet of water. Celebrate a birthday by throwing a memorable, exciting Bubblemaker party with friends and family. It's fun, easy and safe. Bubblemakers can continue the adventure to complete AquaMissions during the Seal Team programme. Those who are 10-14 years old can take the Junior Open Water Diver course and may want to pursue other advanced kids courses.